Ever wondered what’s involved in training to be a professional trampolinist? While every athlete's regime is different, you can start with a whopping eight hours of exercise a day as a base! Although that level of training is unrealistic for most of us, athlete sessions can inspire fitness ideas for us to incorporate into our weekly exercise routines. Discover just how you can spinkle in a little more ‘pro athlete’ into your daily workout. Rarely do pro trampolinists get to sleep in during the week! Athletes are usually up bright and early to kick their gruelling training programme into gear. Take a leaf out of their book, and rise with the sun. Begin your day with exercise to jumpstart your metabolism and set a positive mindset for the day. Night time is better reserved for relaxation and rejuvenation; try a calming bath, and read a book or meditate before you hit the sack early. The key to increasing your fitness is always to get your blood pumping and heart rate up. Ensure that you do plenty of aerobic – or 'cardio' – exercise throughout the week. 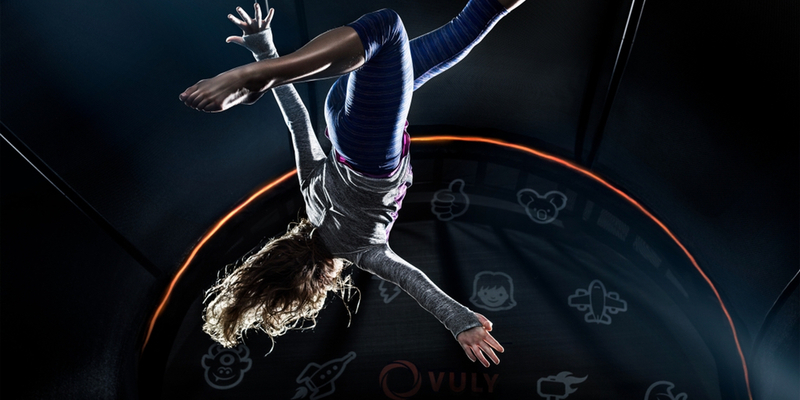 Just like the jumbo-sized trampolines the pros use, your Vuly trampoline is the ideal backyard workout partner. Incorporate one of our many trampoline workouts into your routine to burn those kilojoules and watch as your ability to train harder and your general fitness improve. Trampolinists require some serious strength to perform those flips and turns, and many turn to weights training. Exercise a different muscle group every second day to ensure that your body has time to recover! We particularly love strengthening the legs, which is the largest muscle group in the body. This means that you’re burning some major kilojoules as you train, which is great for weight loss. 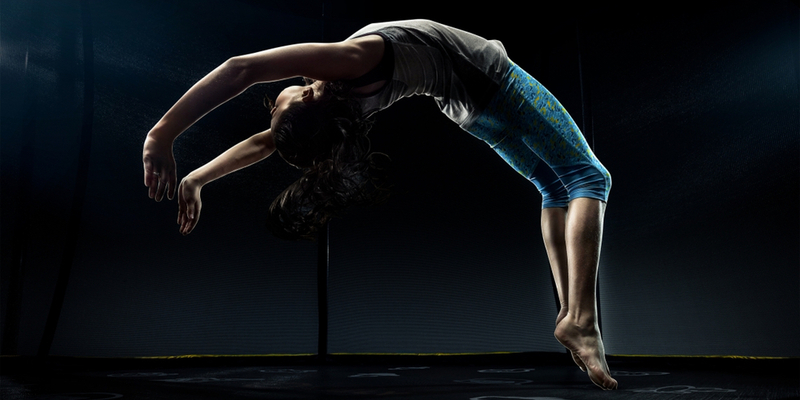 Trampolinists may also incorporate pilates into their regimes. These exercises are fantastic for building core strength and elongating muscles – which are essential for consistently performing all those precise manoeuvres. Plus, you can do them almost anywhere – from your backyard, to your trampoline mat, to your lounge room! Flexibility is crucial for trampolinists. To shape and contort their bodies into those challenging positions, many use yoga in their weekly exercise schedule. Use yoga as an end-of-session cool down; it lowers your heart rate, slows your breathing and relaxes you, while stretching out any tight muscles and joints. How have you ‘trained like a trampolinist’ this week? Let us know how you’ve mixed up your regular exercise routine, with inspiration from pro athletes!